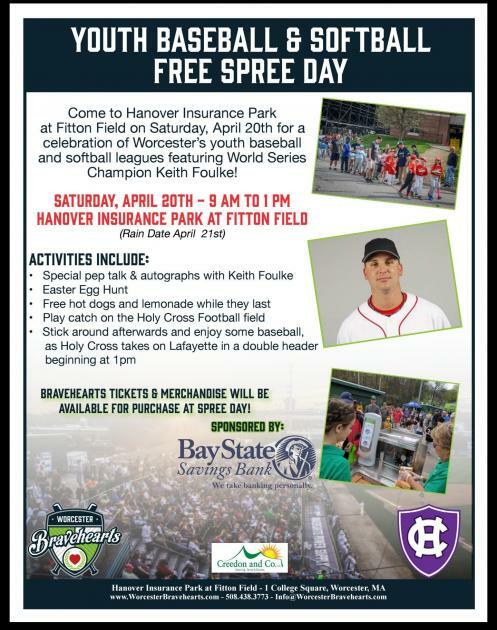 WORCESTER – Former Boston Red Sox and 2004 World Series Champion Keith Foulke will be in attendance at the Worcester Bravehearts’ spree day on Saturday, April 20 to give a special pep talk and sign autographs to the kids in attendance. 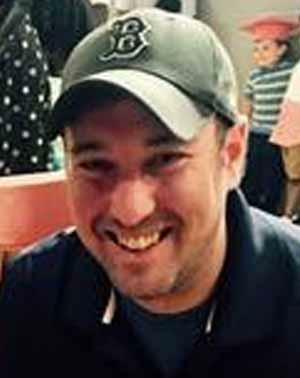 The event runs from 9 AM to 1 PM and is free and open to the public. The event will also include an Easter egg hunt, free hot dogs and lemonade and the chance to play catch on the Holy Cross football field. Bravehearts’ tickets and merchandise will be available for sale during the event. The Holy Cross Crusaders baseball team will also play a double-header vs Lafayette beginning at 1 PM.